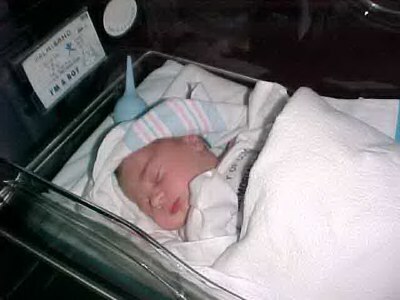 One of the first pictures of Evan Joseph. Here is Evan Joseph all cleaned up just after birth. The hospital has these warmers for the infants just after birth.